[Update] The price has officially been unveiled! Details after the break! 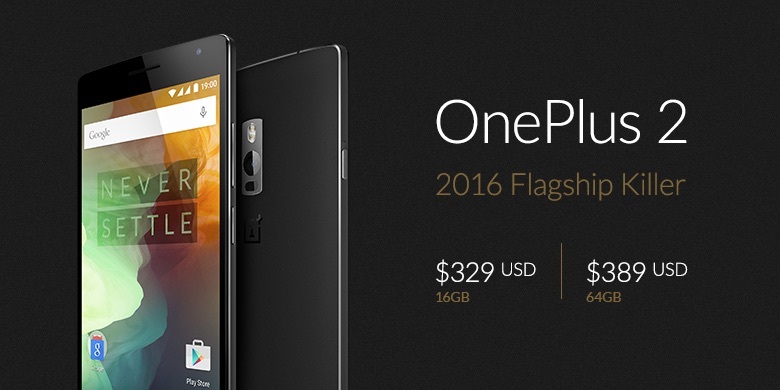 The OnePlus 2 has officially been unveiled. Say hello to a brand new 2016 flagship killer from OnePlus that features the greatest and latest specs, and will be available in SouthEast Asia in the fourth quarter of the year. As expected, the OnePlus 2 is powered by the latest Qualcomm Snapdragon 810 processor paired with 4GB LPDDR4 RAM and 64GB of internal storage. It is one of the world’s first flagship smartphones to use a Type-C USB port, features a fingerprint sensor, and a generous 3,300mAh battery. So what about the rest of the specs? 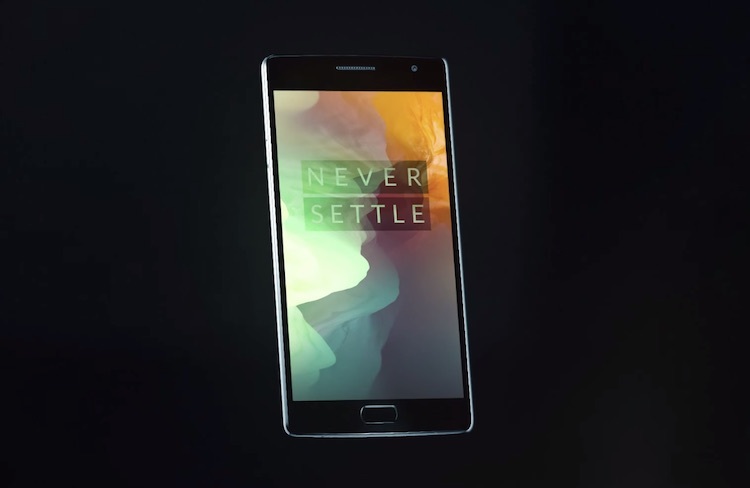 The OnePlus 2 comes with a 5.5” Full HD display. OnePlus says that the technology is not ready for the 2K display hype, which will only drain the battery, which is why the company is sticking to the safer option – 1080p. 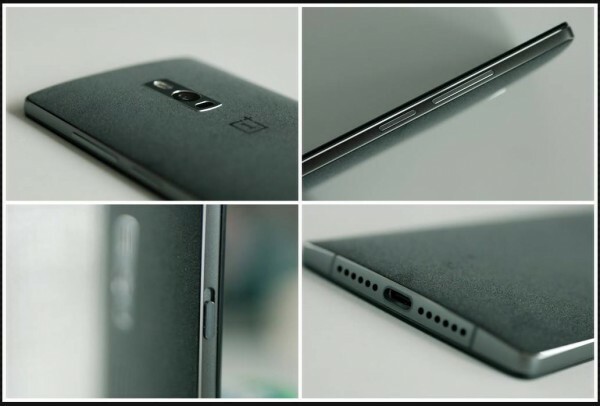 As for the rest of the design, it looks very similar to the OnePlus One with Style Swap covers, however, there is a new button on the front that acts as a fingerprint scanner, and new polished steel button on the side of the frame, Alert Slider, and of course, a premium metal build that looks very similar to most flagship smartphones in 2015. OnePlus says that the Style Swap covers are a lot easier to change now and snaps on and off with minimal effort, and the OnePlus 2 will ship with the standard sandstone black rear cover. 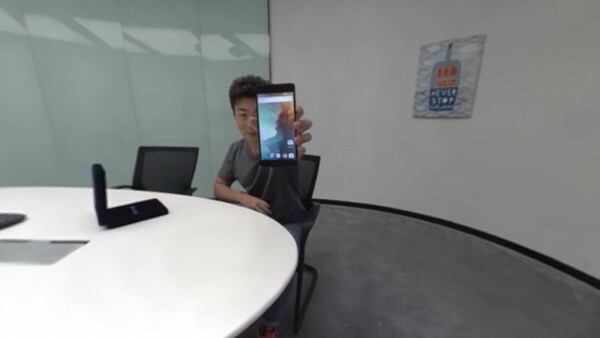 Camera wise, the OnePlus 2 has a 13MP rear shooter with Laser Auto Focus and optical image stabilisation on board. OnePlus says that the camera uses a 1.3 micron pixels, which is 35% larger than most smartphones in the market, allowing it to capture more light. This will result in a camera that is fast at focusing, have an amazing low-light performance, and can capture great pictures even if you have shaky hands. The front comes with a pretty standard 5MP camera for all your selfies needs. As for the rest of the specs, we already know that the OnePlus will ship with a Type-C USB cable. OnePlus says that the cable has the same port on both ends, so it is fully reversible. There is even an adapter to convert the Type-C USB port to regular USB so you can use it with older chargers. The fingerprint scanner is touch base, making it easier and more convenient to use. It’s not a button though, it’s a touch-sensitive panel that looks very similar to the HTC One M9+ we reviewed earlier. The button us also fully customisable so you can customised it to say, double tap to launch camera, long press to launch a specific app, and such. Other specs include Dual SIM 4G, Oxygen OS, and has four different StyleSwap covers (Bamboo, Black Apricot, Rosewood and Kelva). 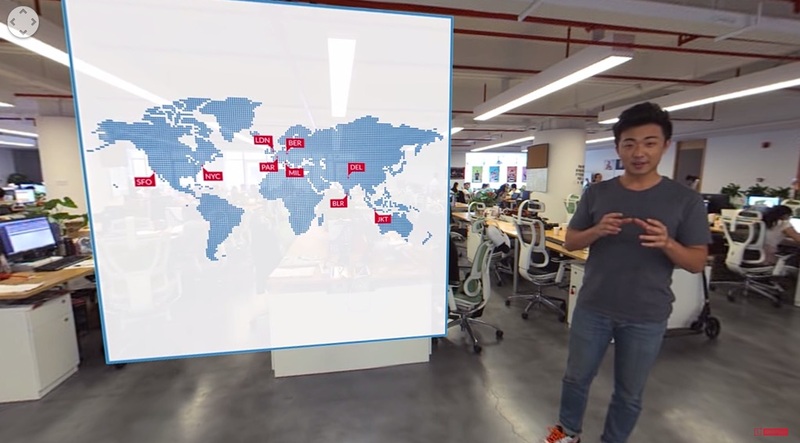 The OnePlus 2 will be available for sale in the US, Canada, India, EU and China in 11 August 2015. It will be launched in SEA in Q4 2015. 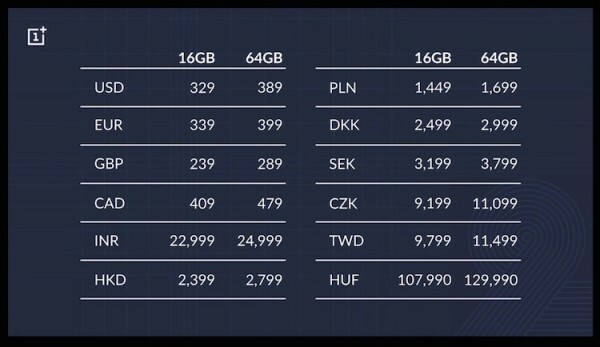 It will retail at US$329 for 16GB version, and US$389 for the 64GB option. OnePlus will be showing off the device in pop-up stores at 9 cities around the world, so if you happen to be in these locations, do stay tuned to find out more about the pop-up stores! 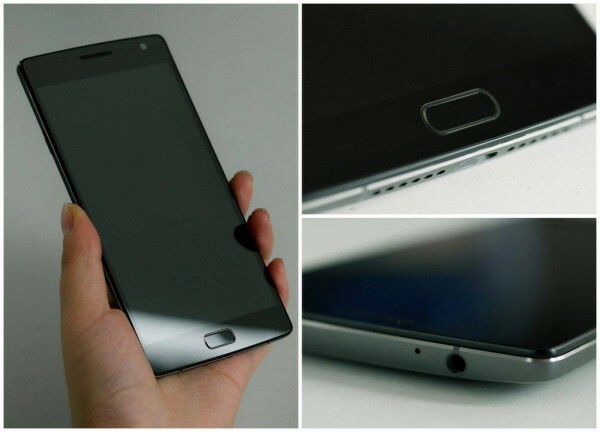 What do you think about the OnePlus 2? Let us know in the comments!